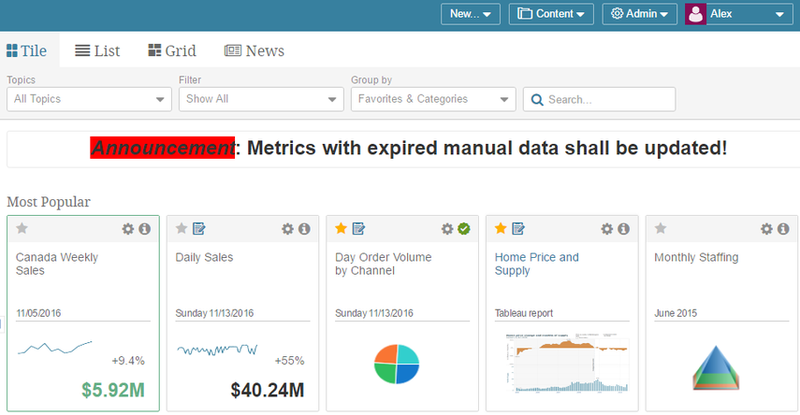 To inform Metric Insights users (everyone or specific user groups, such as Regular Users or Admins) on any news, changes or instructions essential for the seamless company operation, a new feature has been added to the system - Homepage message. 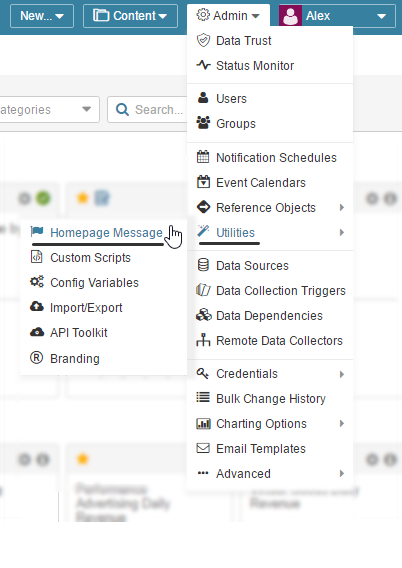 When enabled, the message is displayed at the top of the Homepage below the page filters in Tile, List, Grid and News view. This article covers the process of creating the Homepage Message and its resulting look. The Homepage Message screen opens. Make sure that the Homepage message is enabled at the top of the screen; otherwise, it will not be activated during th time specified below. 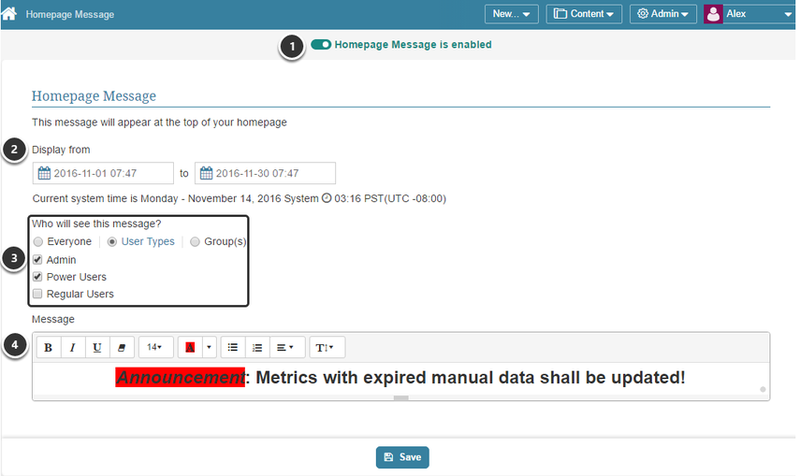 Define when the message display should be started and ended (with exact time, if needed) when the message is to be shown at the Homepage. Define the users who should see this message. The message can be shown to Everyone, specific User Types (which can be specified by checking the boxes for the corresponding user groups ('Admins', 'Power User', 'Regular Users') or user Group(s). Create your message in the text field: you can play with colors, size and formatting. Do not forget to Save your settings.